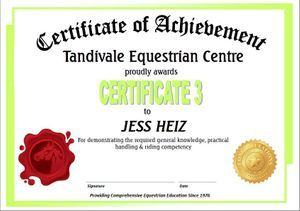 Please note: Pony Club members will also have access to the PCAV certificate program. All information can be found on the PCAV website. Knowledge – everything from identifying parts of the horse and equipment to correct conformation, first aid, nutrition and health management. Practical – The demonstration of knowledge through application for example, catching a horse, assembling a bridle, saddling a horse. Riding – Consistently and accurately executing a ridden activity to an acceptable standard, showing good control of the horse at all times. Whilst we would be happy for all students to progress through the certificate program we understand that not everyone will be motivated to do so. We will encourage but not pressure students to go down this path. For us it is most important that students enjoy their time here rather than it becoming a chore. Regardless of whether students attain the certificates, they are following the same curriculum and lesson structure as those who do. Students have the opportunity to learn, consolidate their learning and practice, every time they visit! Once instructors are confident students regularly & reliably meet all the criteria of a certificate, students will be advised they may apply for an assessment. This must be done by Week 7 in order that the assessment can be conducted in the current Term. As this system is optional we do not wish to over-burden our schedule with assessments. Therefore students will have one opportunity to be assessed per Term, as part of the last or second-last scheduled lesson. Assessment requests received after Week 7 will be considered for the following Term. Students not participating in an assessment will not be disadvantaged in any way. Whilst developing knowledge about grooming tools and parts of a saddle will come quickly to most students, developing the practical and riding skills to an acceptable level takes a lot of time and repetition as well as good coordination, control and balance for riding. It’s therefore important to accept that progress can’t be time-boxed and students may not progress by a certificate every Term. Rather, the rate of progress is entirely dependent on the student’s development and cannot be rushed. 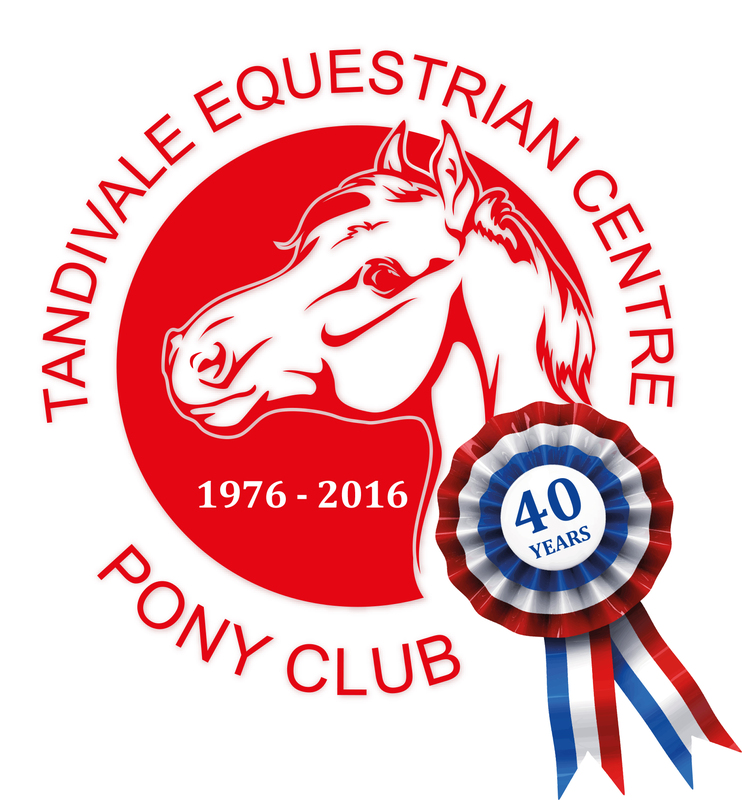 Unrealistic or generous assessments, particularly of riding capability, is unsafe and not practiced at Tandivale. To assist student's learning, we've provided a booklet for each certificate. The booklet includes the very important assessment request form which must be returned to us, by the date specified, to apply for assessment! Be sure to you have the support of an instructor. The booklets can be accessed below and printed at your convenience to work through. There's an abundance of additional information available on the internet / books and we encourage students to do their own research and learning. Please raise any questions and regularly discuss your progress with your instructor.